You are here: Home / Our Blog / Helpful Resources / What Should You Expect When Working With a Title Company? During a real estate transaction, the title company often gets the least amount of spotlight and recognition, even though their involvement is just as important as any other participating party. At Eagle Gate Title, we want our patrons to understand the important role that a Saint George title company plays in their closing process. You should choose your title company wisely, just as you would a real estate agent or an attorney. 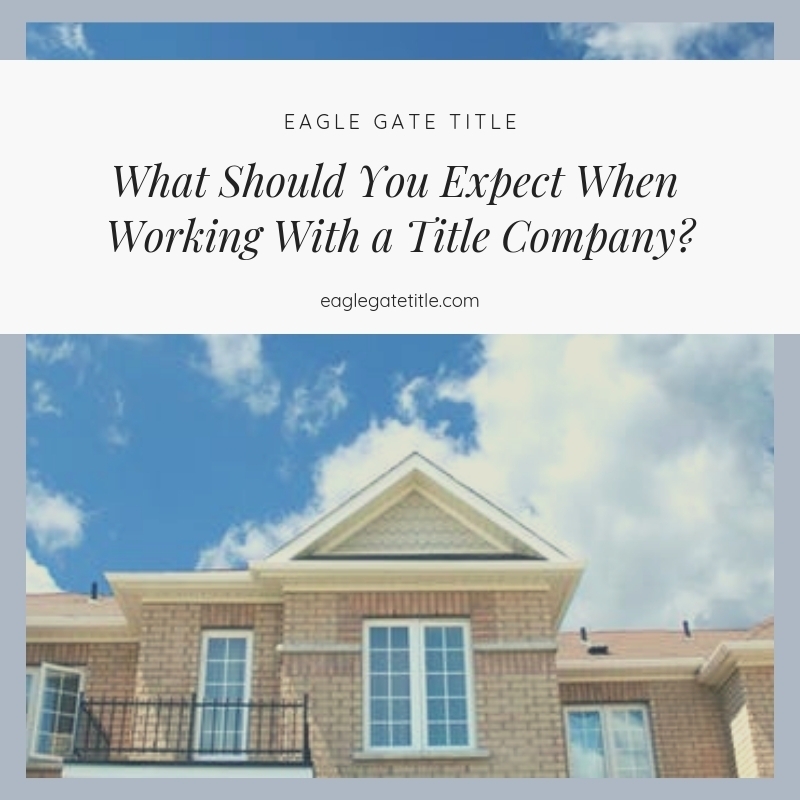 Here are some things that you should expect during the process of working with the title company you choose – things that we guarantee at Eagle Gate Title. Both the buyer and the seller need to sign the purchase contract at which point the real estate agent contacts the title company to have the earnest money and contract submitted. Each party member receives a copy of the check and contract from the Saint George title company. It will include the GF (guaranty file) number as well as the name and contact info of the closing agent. The closer plays an important role as they conduct the closing meeting, prepare settlement statements, gather documents, request tax statements, request surveys, and takes care of all the communication with all parties involved. A title search will be performed by the Saint George title company after which a commitment will be sent to both parties (for more information on the important details a title search can reveal, click here). All closing documents will be provided to both parties just before the closing is scheduled to take place. Every transaction detail and all personal information should be 100% accurate on the settlement statement, including info tax allocation, deeds, and loan documents. During the closing meeting, one document at a time will be presented by the closing agent representing the Saint George title company. They will be able to answer any question that anyone present may have to provide clarity for all parties. They shouldn’t rush the process in any way. Because the Saint George title company acts as an escrow agent and is not a representative of the seller or buyer, they hold the earnest money until the contact states it is time to disburse those funds. All regulations and stipulations will be adhered to during the disbursement of earnest money, whatever they may be. The Saint George title company will regulate and determine if party members who request earnest money before closing are in fact entitled to it. In some scenarios, both parties present evidence that they should receive escrow money. Hopefully, a compromise is reached between the two parties. The Saint George title company, however, will not involve themselves in earnest money disputes. Be sure that that you know the details of your real estate transaction including what is and isn’t covered by title insurance issued by the Saint George title company,, for example. Neutral is the name of the game when it comes to title company. They’re more like mediators. The buyers and the sellers need to make sure that their own interests are looked after. They need to look the closing documents and title commitment over to make sure that everything is in order. 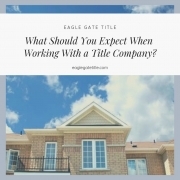 If you would like more information about what you should realistically expect from a Saint George title company, as well as what makes Eagle Gate Title the best choice in Southern Utah, reach out to us. When you work with us, every expectation will be met and then some. http://eaglegatetitle.com/wp-content/uploads/2019/03/WhatShouldYouExpectWhenWorkingWithaTitleCompany_.jpg 800 800 aloha http://eaglegatetitle.com/wp-content/uploads/2019/02/logo-300x212.png aloha2019-02-26 16:56:492019-03-02 02:49:43What Should You Expect When Working With a Title Company?